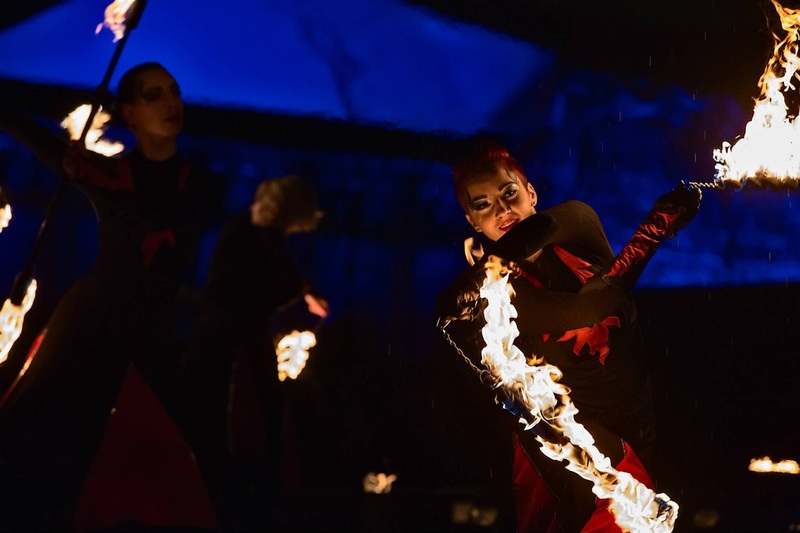 Studija "Ugnies ratas" - ugnies šou "360"
360 is a study of the visual nature and beauty of fire, exploring the strong feelings that fire arouses in all of us. 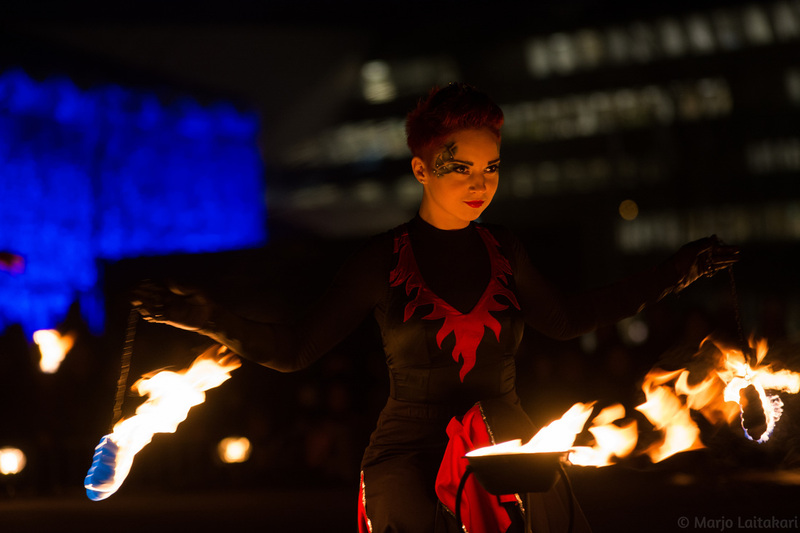 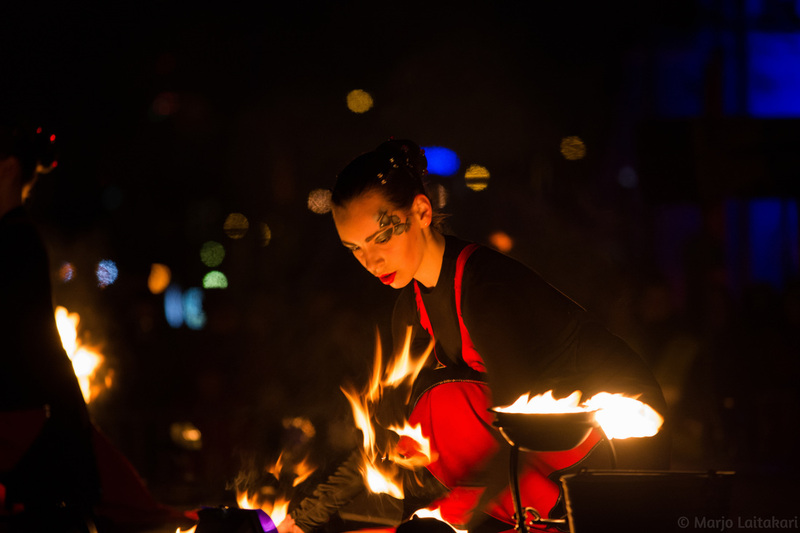 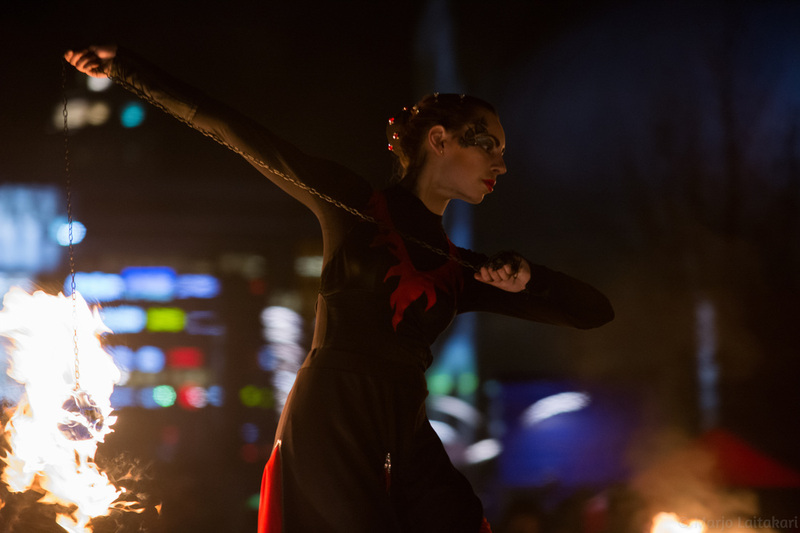 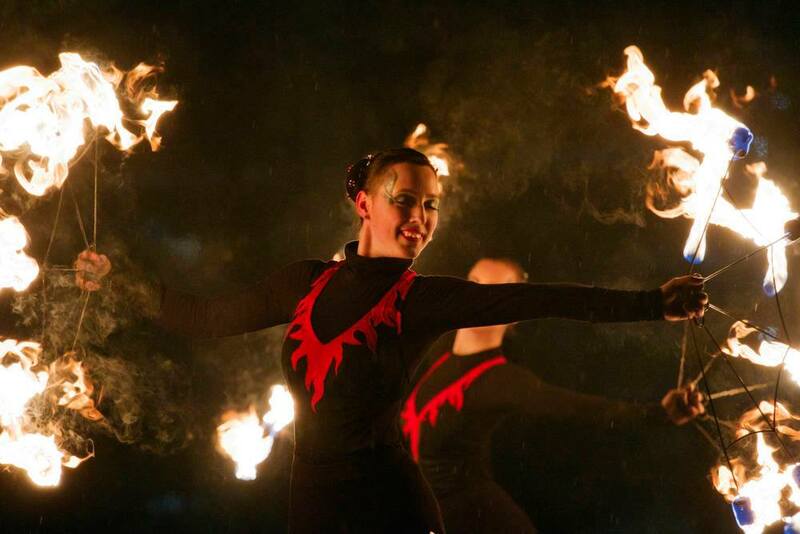 The performance combines the worlds of dance and fire circus. 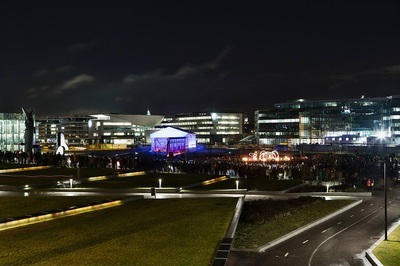 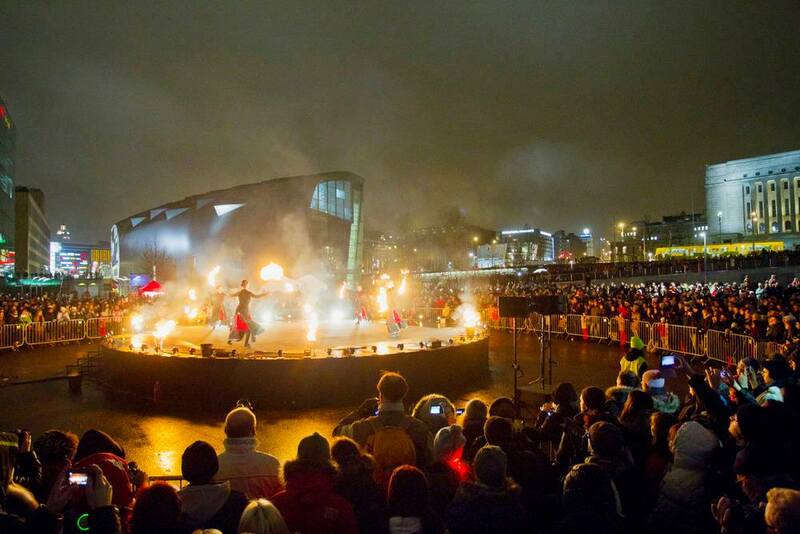 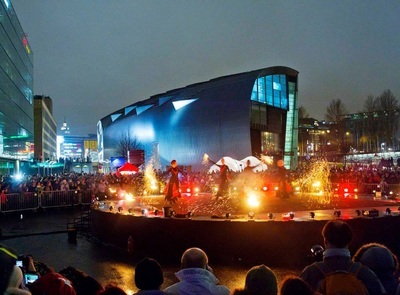 360 goes beyond the common two-dimensionality of fire art, taking place on a round stage that can be viewed from all directions. Fire Circus Walkea is an ensemble managed by fire artist and choreographer Antti Suniala, whose intention is to bring the field of fire art closer to the world of contemporary circus. 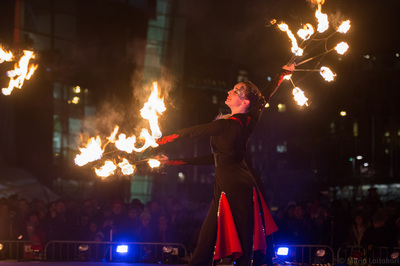 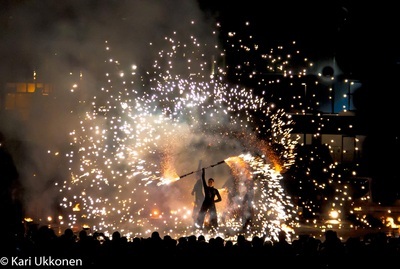 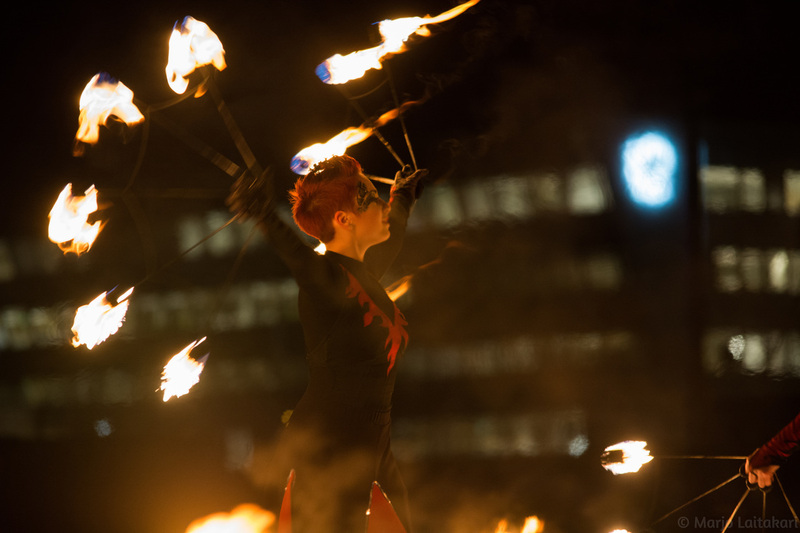 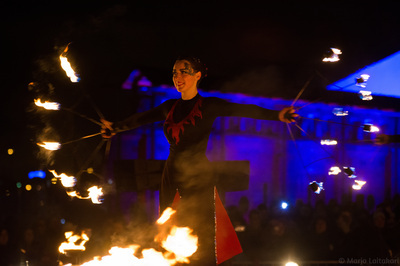 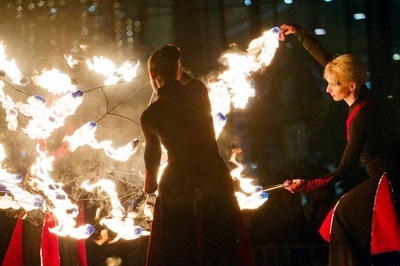 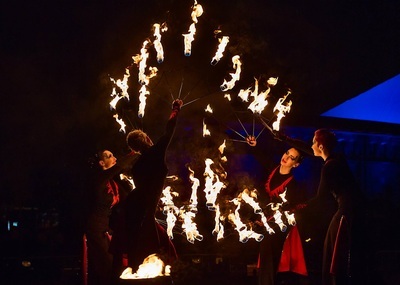 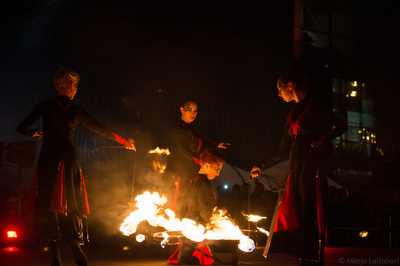 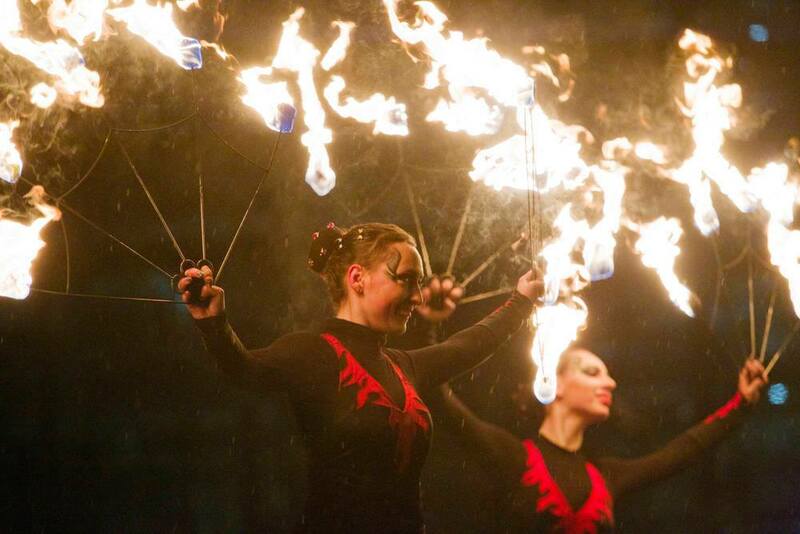 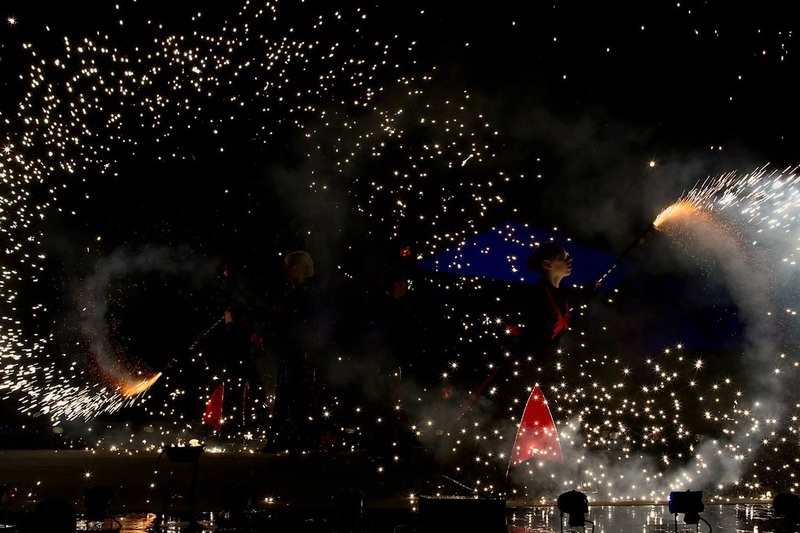 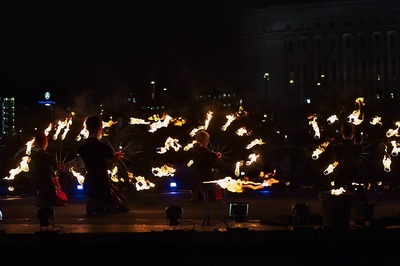 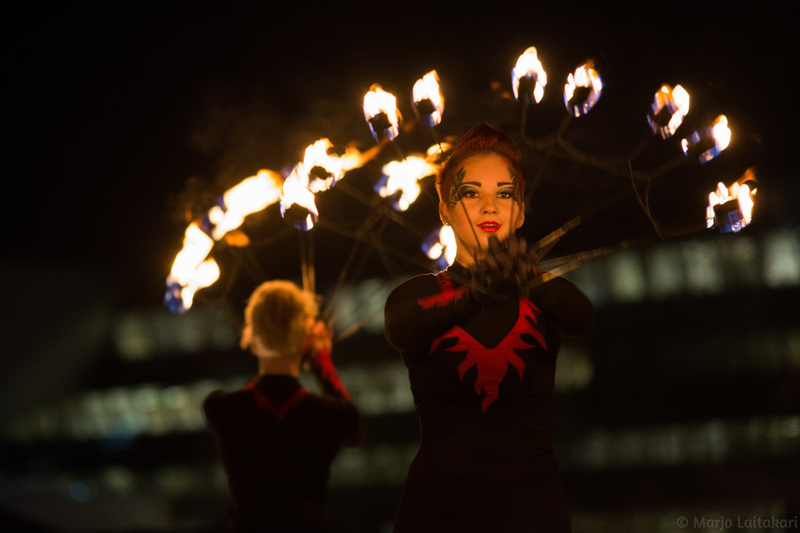 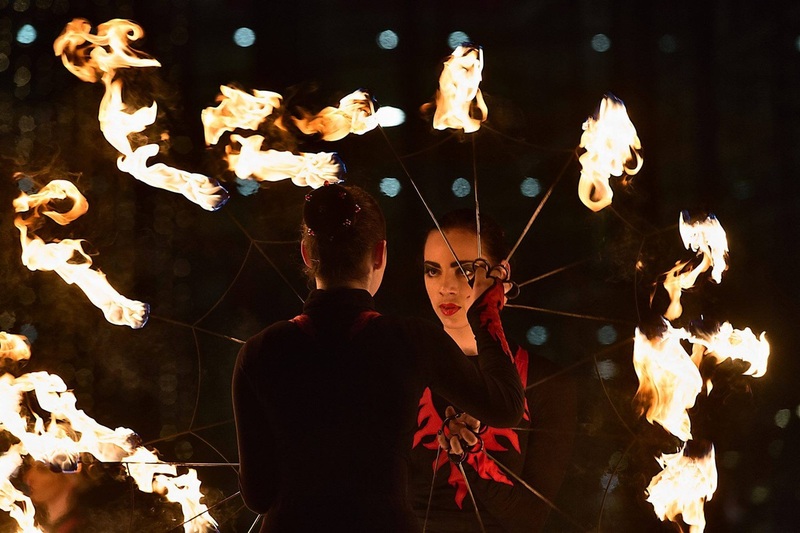 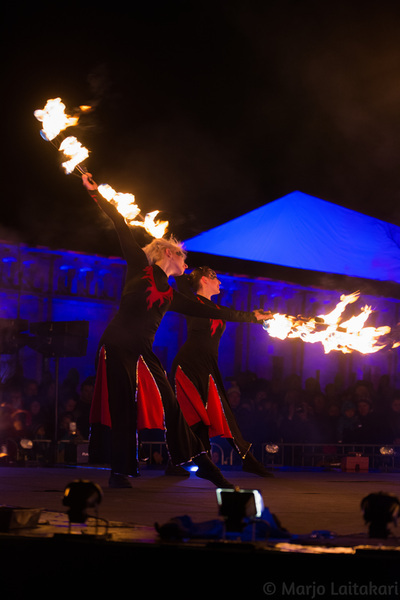 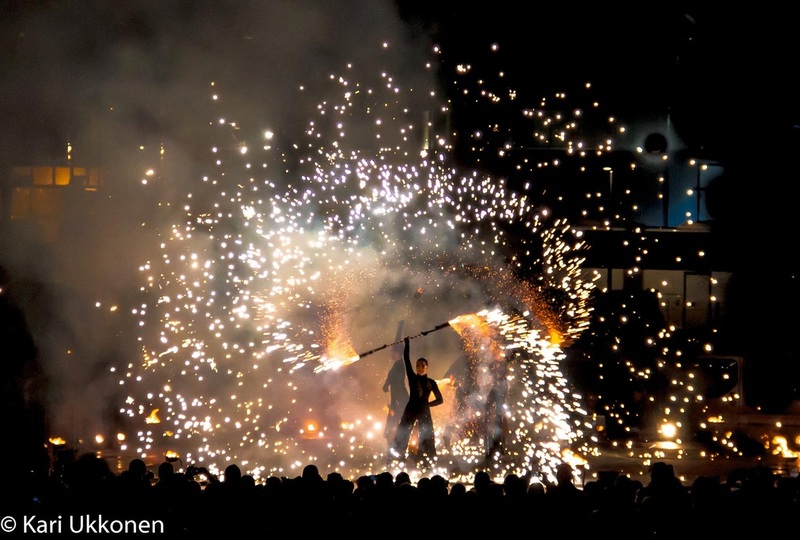 Walkea has hosted top international fire artists and dancers; 360 includes Aušra Degutyte, Aiste Krasauskaite, Ugne Motekunaite and Jovita Aukštakalnyte from the Lithuanian Studio Fire Circle. Fire Circus Walkea previously took part in Lux Helsinki in 2011 and 2012.